Birds are chirping away outside my window, the sun is shining down on my little village and my flat is LIKE A SAUNA! Oh I love its brightness, the big old windows, but I had forgotten the grand old temperatures it can reach as it warms up outside and I feel as if I am potted at my desk in a greenhouse. Anyway, glorious weather means for certain you need some glorious books for those moments you can relax outside and read, so today I am bringing you a bumper edition of the good, the ok and the damn right ugly to see if any take your fancy! So get settled, maybe grab a pimms for this one, you know, get us really in the spirit, and away we go. We’ll start with a book that will be out in about two weeks or so by Gail Honeyman. This debut writer entered a competition for new novels and then lo and behold has had the book published to acclaim all around, it cheers my soul to see new writers being discovered like this, bravely pressing the submit button after spending the previous chunk of their working life in completely different job roles. 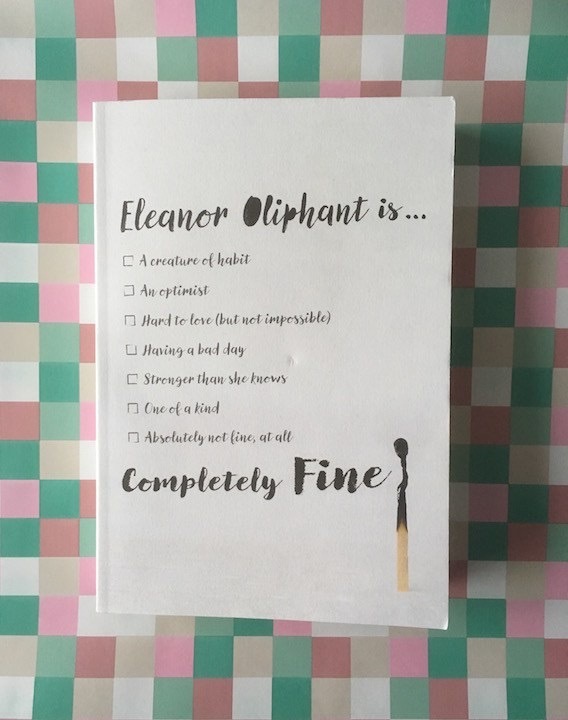 ‘Eleanor Oliphant is Completely Fine’ introduces us to, you guessed it, Eleanor. A woman who likes things just so, she gets through her working week quietly in the corner, not interacting with anybody around her if she can help it. When Eleanor finds herself in conversation with others her blunt, straight forward way of looking at the world immediately casts her as ‘an odd one’, somebody who is perhaps not so subtly laughed at behind computer work stations in the office. When not at work she keeps herself very much hidden away at home, vodka and pizza seeing her through from the moment she shuts the door on a Friday evening until she has to leave again Monday morning. 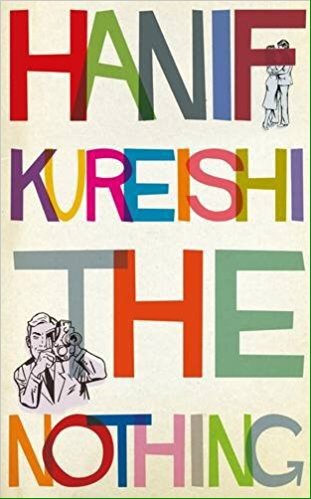 Her solitary situation is only broken by a weekly phone call from her mother, which does not seem wholly welcome to her, and her crush on a local pop star who she religiously keeps up to date with online. This ground hog day feeling is broken when walking home from work one day, Eleanor is witness to an elderly man falling in the street. Her first instinct is to carry on homeward bound, seeing that a fellow colleague has spotted this accident and is on his way to help, but when he shouts for Eleanor to join him in the rescue mission she feels duty-bound to go. This one small moment provides a catalyst for changes in her life that can often feel overwhelming and push her into situations she could never have imagined. I thoroughly enjoyed this book, finding Eleanor completely and utterly loveable. The plot line itself is engaging although I did guess where it was going, but it really didn’t matter to me as I just wanted to spend time in her company. I think with a character like Eleanor she would so often be presented to the reader as ‘other’, somebody odd who the reader laughs at, the strength of this novel is that it never strays into this territory. Eleanor is funny, yes, but her observations are astute and perfectly reasonable from the life she is living, she is a whole character, never a caricature. I really recommend you spend some time seeing life through her eyes and pick this up for a summer read. Two very quick shout outs here for a couple of books that were quick to read but leave an impact deeper than the mightiest of tomes. The latest book by Chimamanda Ngozi Adichie was always going to be something I snaffled up the day it was released bearing in mind I think of her as something of a QUEEN. 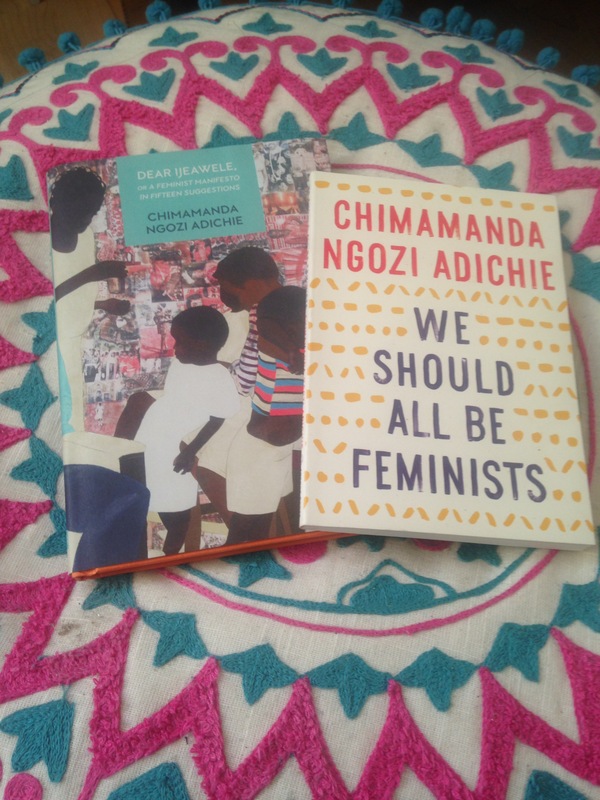 ‘Dear Ijeawele, or a Feminist Manifesto in Fifteen Suggestions’ is a thought provoking, kind and outright smart letter from Adichie to her friend who had just recently given birth to a daughter. Her friend had been in touch after Adichie’s now famous TED talk titled ‘We Should All Be Feminists’ (and my god, if you haven’t read that do so NOW, it will honestly take 5 minutes and should be essential reading, as should all of her fiction…) and wanted to know how best to raise her daughter as a feminist, how Adichie would advise her to go about doing this. These fifteen suggestions, if applied by all, would make the world of difference with boys and girls, men and women, living to their full potential in a much more respectful environment. She rocks – read it! The next call out is one a lot of you will know and which I have been incredibly tardy getting round to, but now realise is an essential book to have in my house as something of a balm for my soul in case love ever cuts deep. 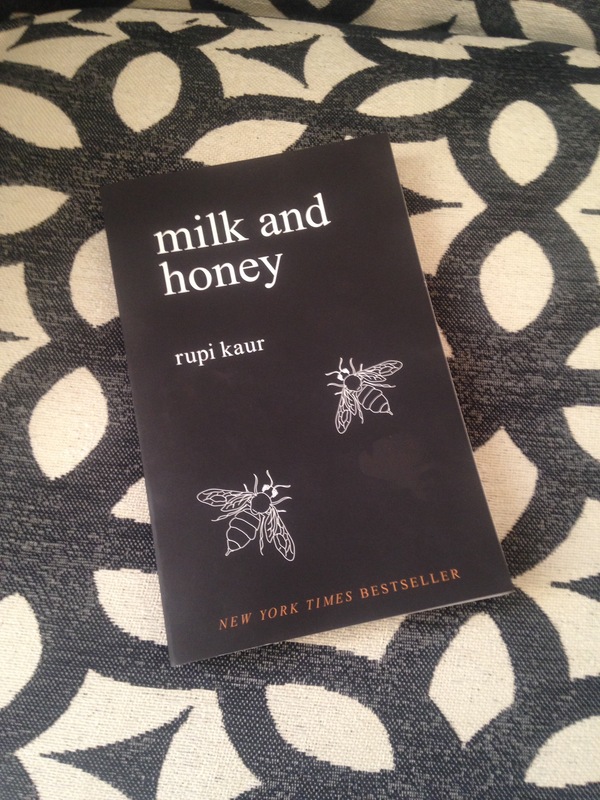 ‘Milk and Honey’ by Rupi Kaur is a collection of poetry that charts her journey through love, pain and healing. The collection is also illustrated by Kaur with simple line drawings throughout. It is raw and honest, although if you like poetry to be stanza after stanza with imagery to work through that is not what you will find here, simple and often only three or four lines long, these feel like they have been written in the moment as the emotion has flowed through her finger tips. Amazingly this was self-published at first but word of mouth did its job, a publisher picked the book up and now it is something of a worldwide phenomenon. Now let’s end on a much, much better note! That there Ruby Tandoh, Bake Off legend, and her partner Leah Pritchard decided some time back to begin a Kickstarter project to raise money to produce a one off zine on mental health. They got writers of amazing calibre to sign up who all, in some way or other, have had their lives effected by mental health problems. I knew this was something I would want a copy of so happily contributed to the project. As I say, this was a little while a go so it had somewhat drifted out of my mind. Last week I was really struggling with my own mental health and was having a day that was the deepest shade of blue. I made it down to my post box which was something of an achievement and found a package waiting for me. 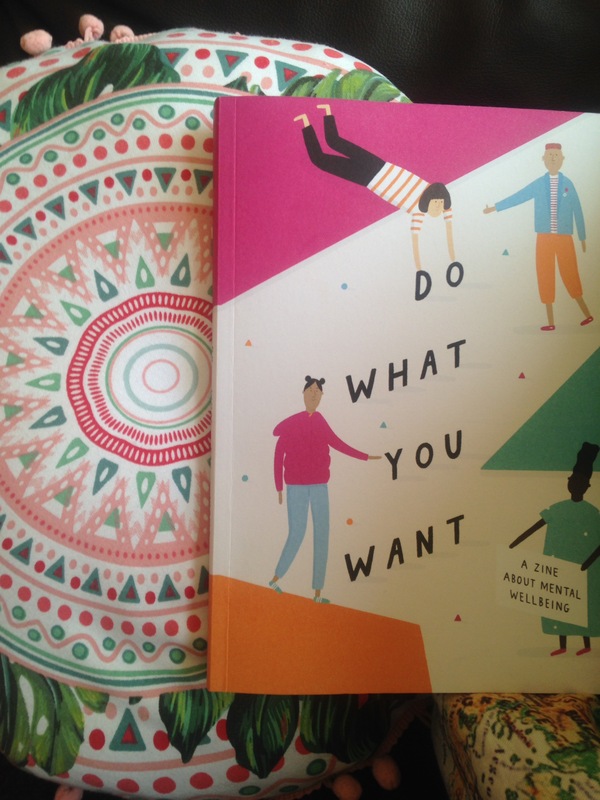 When opened, lo and behold it was ‘Do What You Want’, the zine itself! It was exactly what I needed. Can I just say, to all you fellow book sniffers out there, this zine smells gorgeous! It has illustrations throughout by a whole host of artists, some of which I wouldn’t mind prints of to go up in my flat! It covers so many topics, gives excellent hints and advice and generally just made me feel a little less alone that day, reminded me there are others out there who know what it can be like. A total bonus I didn’t expect was a collection of recipes in there as well, all delicious and all to be tried out in the Dog Eared Reads kitchen! I am really impressed with what Tandoh and Pritchard have done, the proceeds of the zine have all gone to mental health charities and there is not a doubt in my mind they will have helped many out there. Three cheers to them! 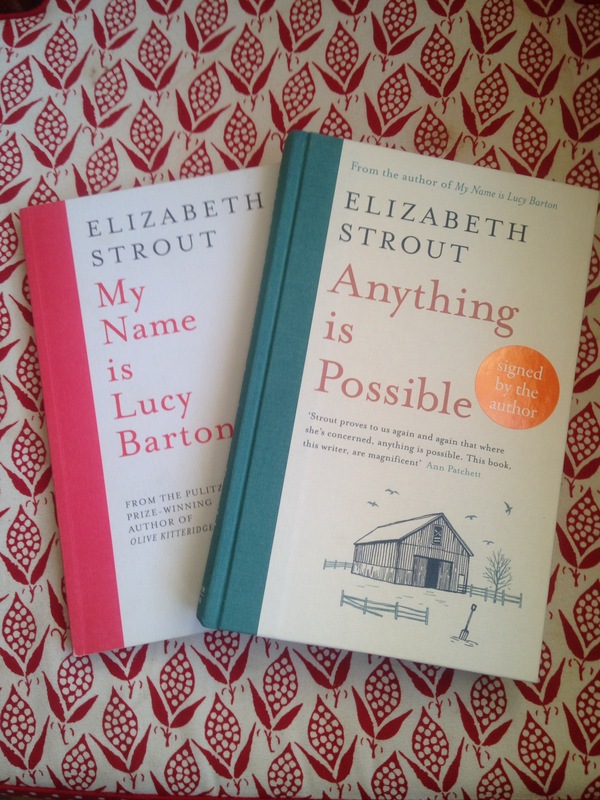 In ‘oops I bought a book’ news – you may recall one of my favourite novels of the last couple of years (and if all time now I mention it) was ‘My Name is Lucy Barton’ by Elizabeth Strout. Well her latest offering is out, ‘Anything is Possible’, a collection of stories all set in Lucy Barton’s home town, with a couple of familiar faces appearing within the pages. I’ve had a proof copy of this for a while but almost can’t bring myself to read it as I don’t want it to be over, if that makes sense?! Anyway, despite owning it already I spotted a signed first edition in a shop recently and we all know what happened next! A review will be appearing soon, I promise I’ll try not to drag it out too long to make it last! I’ve just read the new Elizabeth Strout and I think you can safely open it and enjoy! I don’t want to give any spoilers so I’ll just say it’s a bit like Olive Kitteridge – linked short stories with Lucy taking the place of Olive. It’s as well written and beautifully crafted as Lucy Barton. I re-read Lucy Barton first and was glad I did – I had read it so fast the first time that I had forgotten a lot of the people she discussed with her Mom – so wouldn’t have got as much out of the next one if I hadn’t reminded myself of them – anyway, who needs an excuse to re-read such a fab book! Hope it lives up to you expectations and look forward to hearing what you think of it.